A square dance competition attracting more than 35,000 participants nationwide was held at the Shanghai Children's Art Theatre yesterday. Started in April, the Mighty Cup competition has hosted more than 500 contests participated by 3,599 square dance teams nationwide. The final winner was from Xianyang in Shaanxi Province. A survey covering about 30,000 square dancers in over 510 cities found out that dynamic style songs are preferred by middle-aged square dancers, while dancers over 50 years old usually select folk songs as background dancing music, followed by pop music. The majority of Chinese square dancers are women, while only 12 percent are men, the survey revealed. Fans and headdress are the most frequently used items for square dancers, and traveling is their favorite leisure time activity, it said. 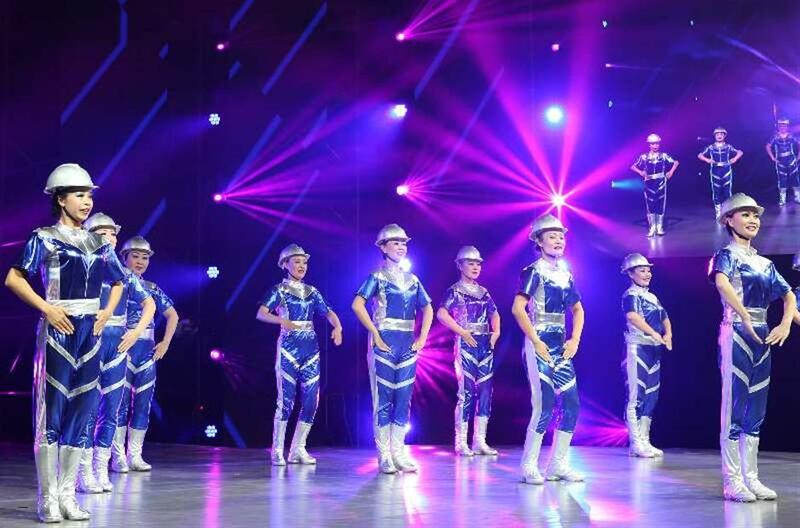 A square dance competition attracting more than 35,000 participants nationwide is held at the Shanghai Children's Art Theatre.